A few months ago, scientists reached a significant breakthrough that will, if proven successful on humans, save thousands of babies born prematurely. The experiment? Eight premature lambs spent the last month of their development in an artificial womb. And in April, the oldest lamb, at about a year old, was still developing normally. The point at which the lambs were placed in the artificial womb equates to roughly 26 weeks of a human pregnancy, but the human version of this technology will be designed for babies born as early as 23 weeks. The technology is expected to be tested on human babies sometime within the next five years. If it works, it would bring amazing opportunities for premature babies, but it would also add to the complexity and doubts of the pro-choice argument. In Roe v. Wade, the case that ultimately legalized abortion in 1973, the Supreme Court ruled that whether a fetus was capable of surviving outside the womb was an important test of whether an abortion was legal. The Court said that viability typically began at some point during the third trimester, which begins at 24 weeks, but could really only be determined on a case by case basis. In 1992, Planned Parenthood vs. Casey reaffirmed that viability is key in defining a state’s power to regulate abortion. The number of weeks at which you can legally procure an abortion varies between 22 and 24 weeks by state. 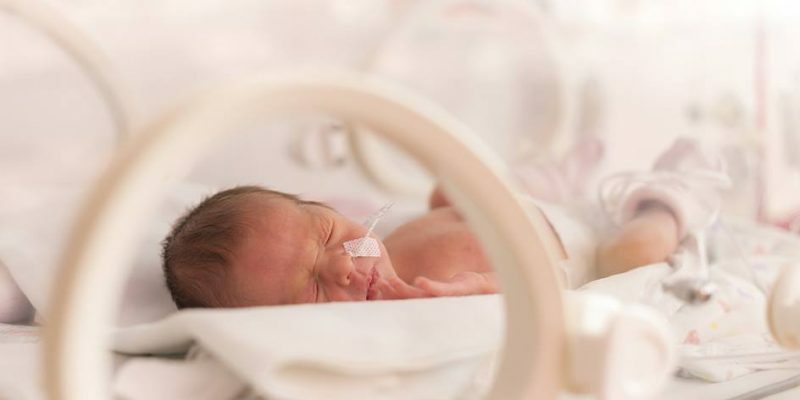 So, if this technology works on human babies as planned – that is, being able to save babies born as early as 23 weeks – these Supreme Court rulings will be illegitimate, as babies born at 23 weeks would thus be considered viable. This definition would have to be reconsidered, but such a task would be tricky, assuming that future improvements could be made to the technology in years to come. Let’s assume this external human womb is able to support babies born at 20-something weeks – why stop there? Why not continue forward with developments? Which in turn raises a non-abortion-related question: just how far could we go with such an ability? The Gizmodo piece additionally touches on the rhetoric surrounding the abortion argument, citing the pro-choice stance that a woman has the right to control her own body, and thus has the right to terminate a fetus’ life within her body. Here’s where things get even more complicated: “Under that logic … the law could simply compel a woman to put her fetus into an external womb, giving her back control of her own body.” The “my body my choice” ideology already faces considerable challenges, and if this technology proves successful, it could potentially ruin that logic and, with it, the pro-choice position. The abortion argument is so complex in and of itself, and because the idea of this technology succeeding is so uncertain, we don’t want to take it too far. It is interesting, however, to consider the possibilities we will likely face in the next five to ten years thanks to rapid technological developments. Will we finally see legal abortion meet its demise? The left’s great loyalty to science may come back to bite them on this one.